New carpets at Dome of Rock spark religious row, rekindle Holy Ark mystery Archaeologists fume as new rugs laid at Jerusalem shrine, covering geometric patterns that some claim point to sacred. 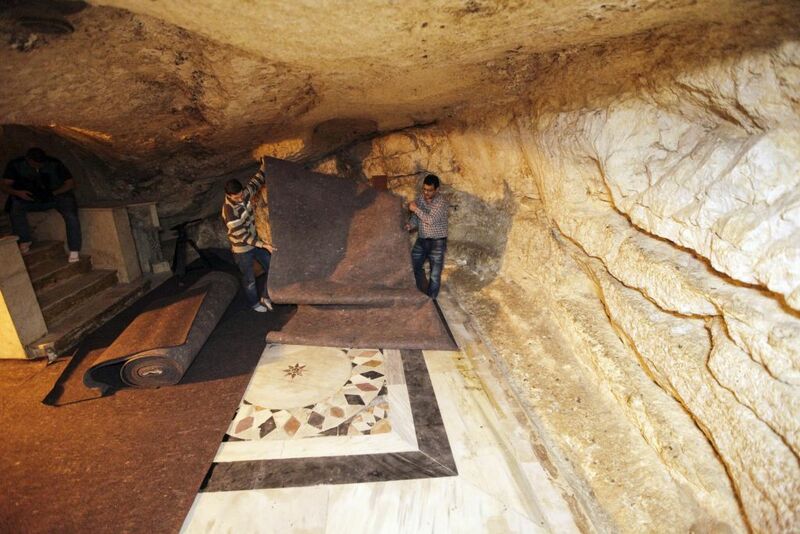 In this Sunday, April 19, 2015 photo, workers place carpets over ancient floor designs in the cave under the Dome of the Rock shrine in Jerusalem. The Dome of the Rock enshrines the large rock slab where Muslim tradition says Mohammed ascended to heaven. Jews believe the rock may be where the holiest part of the two ancient temples stood about 2,000 years ago. But there is no such thing as routine remodeling when it comes to the most contested piece of real estate in Jerusalem, where the presence of a mere screwdriver can threaten to ignite religious tensions. The carpet has sparked a verbal holy war over the hilltop compound, which is revered by Jews and Muslims whose competing claims often spill over into violence. Israeli archaeological authorities say the repairs were carried out behind their backs, and an Israeli government minister urged an immediate halt to the work, claiming it might cause irreparable damage. Frustrated Israeli researchers say previously undocumented ancient floor designs were discovered when the old carpets were peeled off, but they didn’t get a chance to document the designs before workmen covered them up with the new carpet. And some researchers claim the Bible’s deepest secrets may lie beneath some of the newly exposed floor designs. “Something is there. I don’t know what. But something is hidden there,” said Israeli archaeologist Zachi Dvira, who studies the site. Jordan’s King Abdullah II financed the project, according to Waqf. Israel captured Jerusalem’s Old City from Jordan in the 1967 Mideast war, but under a longstanding agreement, Jordan remains the custodian of the area’s Muslim holy sites. On a recent afternoon in a small cave underneath the shrine’s rock, Al Quda dribbled Israeli all-purpose glue from a large tin onto an intricate stone tile decoration on the cave’s marble floor. He said it was necessary to affix the base layer of thin dark felt before rolling out the carpet above it. Some Israeli archaeologists are alarmed about the glue used but Al Quda said the glue wouldn’t damage the floor. “It comes off my hand,” he said, rubbing his fingers. 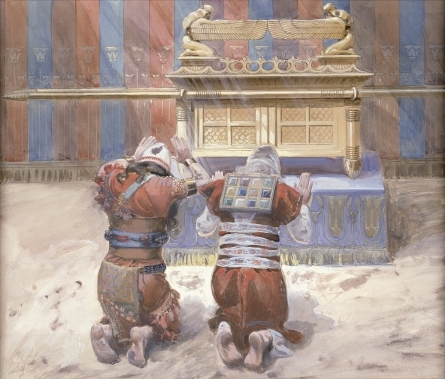 Ancient Jewish traditions say the gold-cased Ark of the Covenant, which contained the Ten Commandments, may have been hidden away in a chamber when the First Jewish Temple was destroyed some 2,500 years ago. It’s an Indiana Jones-type mystery that touches upon a holy grail for biblical enthusiasts. 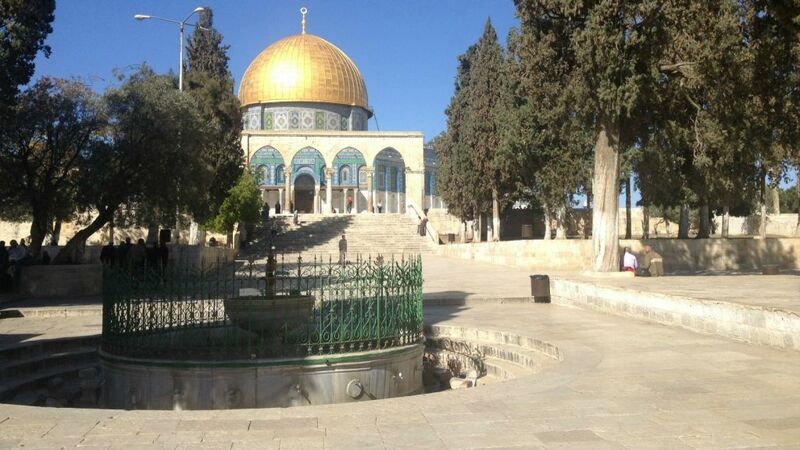 While Jerusalem may be the most excavated city in the world, the Dome of the Rock and its hilltop plaza are an archaeological gold mine that has never been properly dug because of the political sensitivities surrounding the site, which is considered Judaism’s holiest spot and Islam’s third holiest. The Dome of the Rock enshrines the large rock slab — or Foundation Stone — where Muslim tradition says the Prophet Muhammad ascended to heaven. Jews believe the rock may be where the holiest part of the two ancient Temples stood as early as about 3,000 years ago — the site of the Holy of Holies — and where religious Jews pray a third Temple will one day be built. According to Jewish tradition, the stone is also the site where Abraham prepared to sacrifice his son Isaac. The adjacent Western Wall, believed to be one of the last remnants of the Temple complex, is the holiest site where Jews can pray. Palestinian officials reject Jewish historical ties to the site. The director of the Israeli Antiquities Authority at the time called it an “archaeological crime.” For years, Dvira and veteran Israeli archaeologist Gabriel Barkay have been leading a team of archaeologists and volunteers in combing through the dirt for historical finds. Israel’s state comptroller wrote a scathing report in 2010 about the Muslim authorities’ illicit work projects at the compound and Israel’s failure at enforcing supervision there. Israeli officials kept the report classified out of concern that its publication could harm the sensitive relationship with Jordan. Last week, Israel’s housing minister, Uri Ariel of the nationalist Jewish Home party, sent an alarmed letter to Israeli Prime Minister Benjamin Netanyahu about the carpeting project. “There is no need to elaborate on how important this site is, where every modification, every excavation with heavy equipment can cause irreparable harm to the foundations of the Temple,” Ariel wrote. 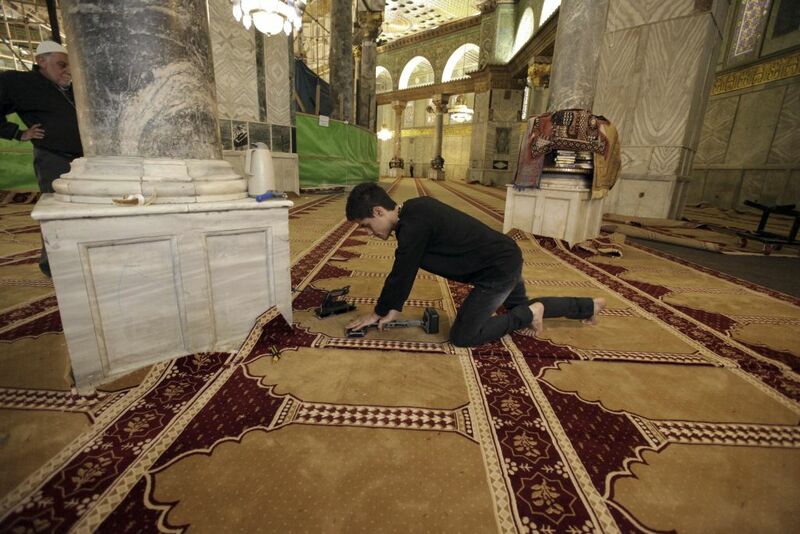 Segun tomado de, http://www.timesofisrael.com/replacing-carpet-at-jerusalem-shrine-reveals-religious-rift/ el miercoles, 22 de abril de 2015. Next Post Surprising Facts about the Jews of Mexico.